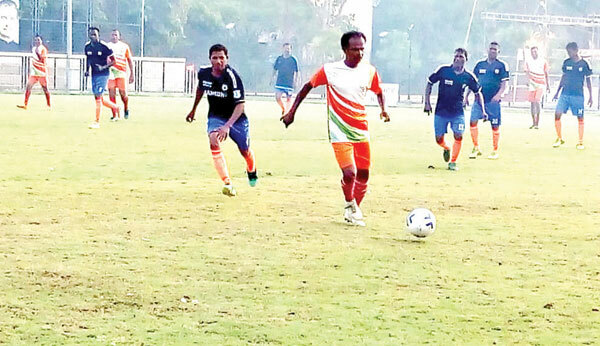 FATORDA: Navelim Veterans edged past Quepem Veterans 2-1 to move into the quarter-finals of the Fatorda Veterans football tournament organised by Fatorda Veterans, at DBO ground, Fatorda, on Monday. Climax Lawrence netted a brace in the 9th and 17th minutes for Navelim. Later in the 21st minute, Climax Lawrence’s curling effort hit the Quepem side netting and went out of play. In the 41st minute, Quepem’s Jose Rebello pulled a goal back. Navelim Veterans will now meet the winners’ of Happy Feet, Ponda and Fatorda Veterans in the quarter-finals on May 8.